JPMorgan Chase’s outspoken chief executive Jamie Dimon is speaking at the bank’s Investor Day in Manhattan.Earlier, JPMorgan said it would eliminate 4,000 jobs in 2013 and another 13,000 in its mortgage business in 2014. 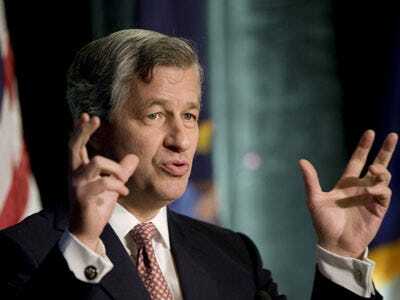 “Obviously, that’s a rough estimate,” Dimon said at the conference. “That is what destroys these companies,” he added. Dimon also went on the explain that they do not pay people on performance metrics alone.